Every year it happens. People buy bags of chocolate goodies to give out and they over buy. Not as many kids show up as they thought. Maybe they did run out of goodies to give out. So off to the next day to get hit the 50% off sale off of leftover Halloween treats. 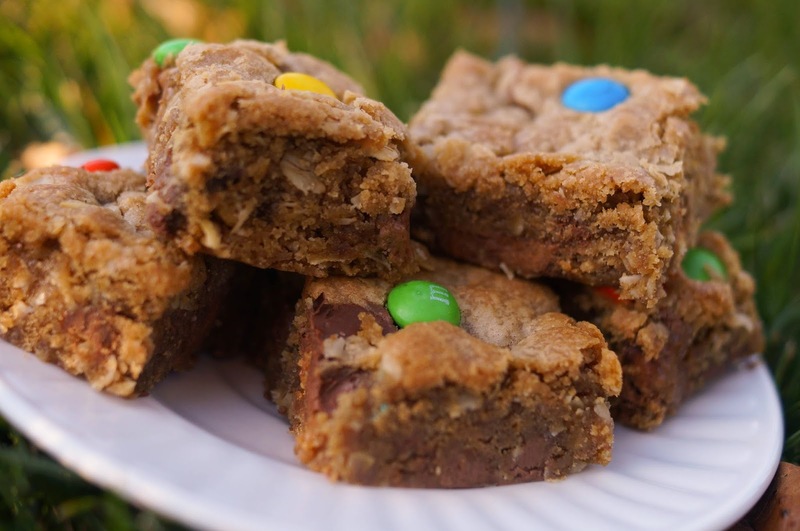 Either way, this bar cookie is easy to make and will use up the leftover chocolate bars and candies or that "on sale" bag that just had to be bought. 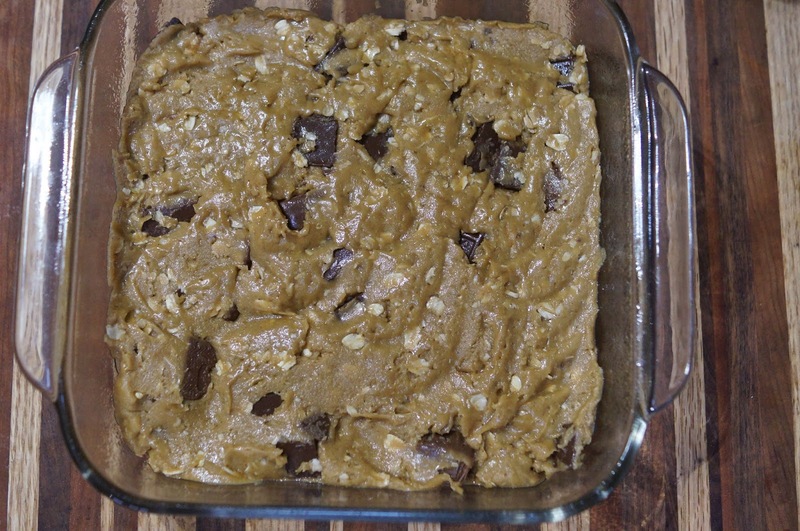 If you have a lot of peanut butter and chocolate candies leftover try my Peanut Butter Candy Bar Brownies. Preheat oven to 350 degrees. Grease 8 X 8” baking dish. Gather your chocolate and caramel goodies. 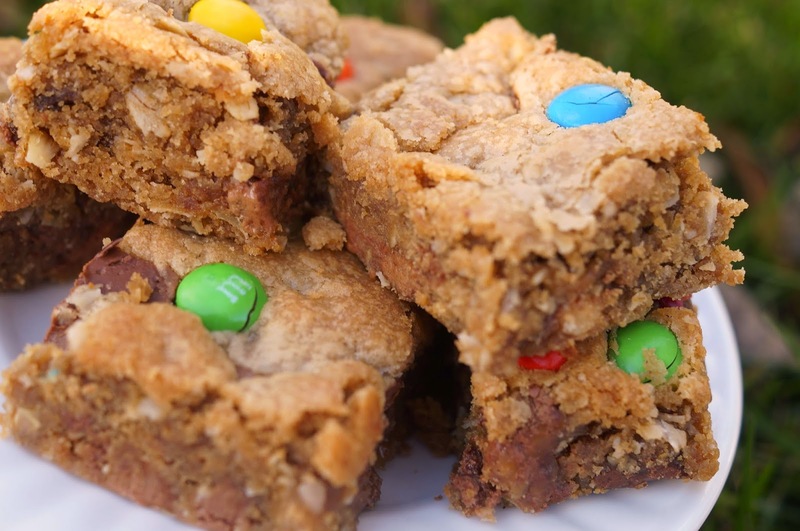 Chop the mini candy bars into 4-5 pieces. You will want about 1 cup total. Any more than that and it will be too much. Set aside. Melt butter in small glass bowl in microwave. In medium bowl add butter, egg, brown sugar, and vanilla. Mix well. 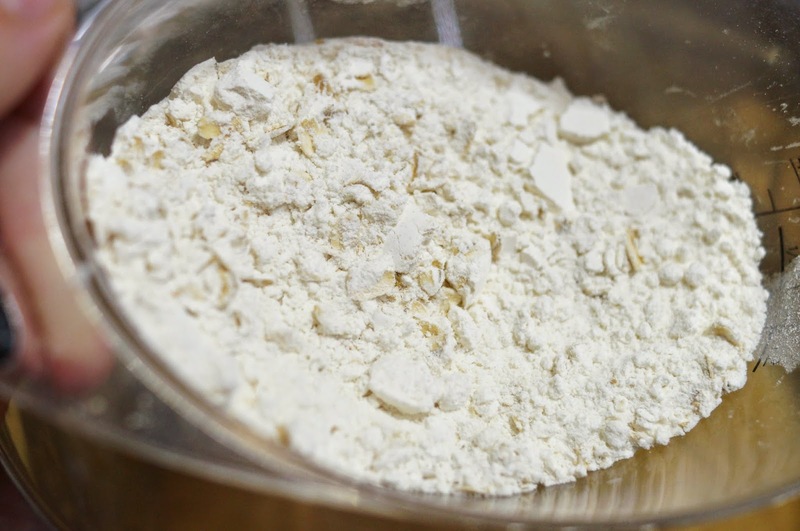 Mix together flour, oats, and baking soda. Dump into baking dish. Smooth top. 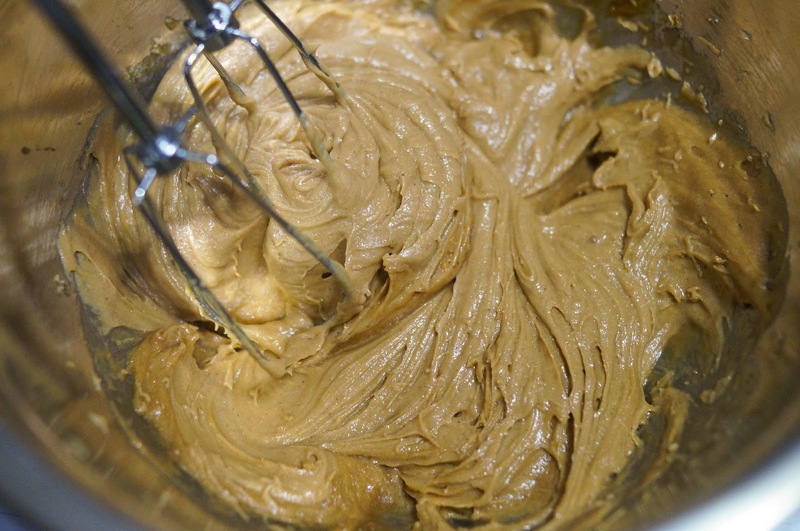 You need to make sure any caramel part is covered with batter. 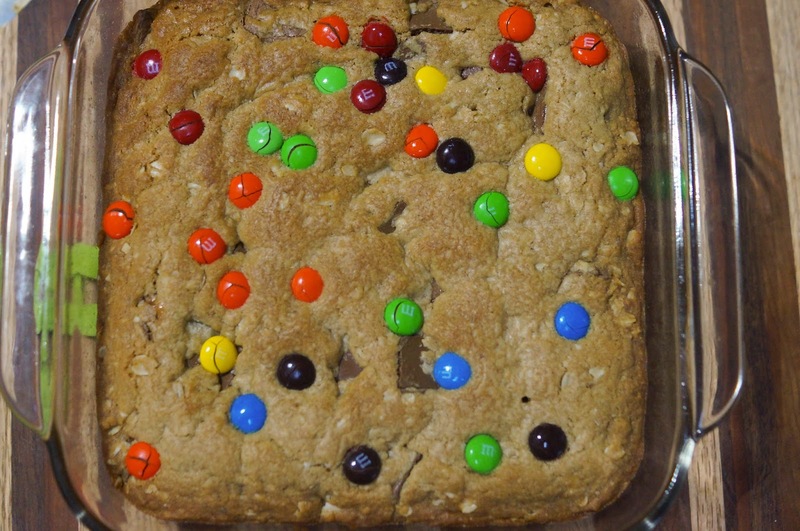 Press M and Ms into top of bar batter. What a yummy creation you've made! I love all the candy in these cookies. This is perfect to use up leftover candy. I just made a similar recipe in my cast iron skillet. Thanks for sharing. I usually buy candies to make some delightful treats with.. These sound wonderful. Pinning. These look so soft, sweet and yummy! Mmmmmm!! My nieces would love them. Looks like a very yummy recipe!